A second open house is being tonight (Thursday) to discuss the future of McLean’s central business district. The open house will be held in the McLean High School cafeteria (1633 Davidson Road) from 7-9 p.m. The McLean Community Business Center (CBC) vision plan predicts that retail, residential, and office space will continue increasing in demand in McLean. The final version of the CBC vision plan, scheduled to be released later this fall, will make recommendations on how McLean should approach this growth on issues like land use and transportation. Retail is projected to grow by 80,000 square feet over the next five years, slowing to grow by an additional 40,000 square feet over the subsequent five years. Most of this growth, however, will likely replace existing retail spaces. The demand for residential growth is similarly projected to grow over the next five years, with a demand for 720 new units expected to consist mostly of apartments, then slowing to the growth of an additional 240 units in the five years after that. Office growth is projected to remain more consistent, with 50,000 square feet in demand over the next five years, and an additional 50,000 square feet in the five years after that. Streetsense, the consultant hired by Fairfax County to help create the vision plan, is scheduled to present a more refined draft of the vision plan at tonight’s meeting that takes into account the feedback from the first open house. The first open house, held in September, outlined the broader scope of the plan. 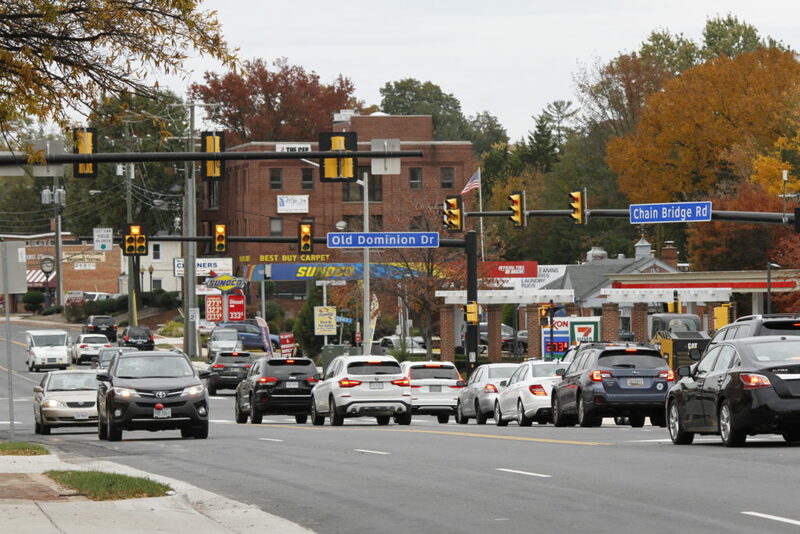 When asked for feedback, McLean residents at the meeting overwhelmingly agreed that more pedestrian access was vital to making McLean feel like more of a community location. Specific intersections along Dolly Madison Boulevard were also noted to be particularly dangerous, cutting McLean Central Park off from the rest of the downtown area. Residents expressed frustration that many nearby streets lack sidewalks, an issue Fairfax County Government is currently working to address. After tonight’s open house, the CBC Task Force is scheduled to meet on Monday, Nov. 19, before the final vision plan is unveiled at the Dec. 17 meeting. The final plan is scheduled to be presented to the Board of Supervisors in late 2019 or early 2020 for adoption.